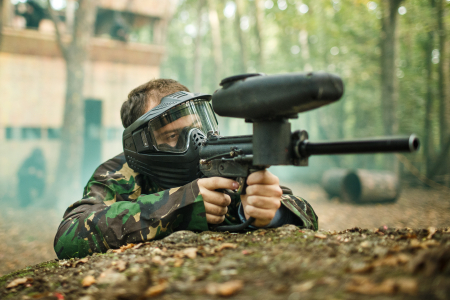 Nottinghamshire is home to a superb paintball venue, situated in the historic Sherwood Forest. The Nottinghamshire paintball park is easily accessible for all groups located in the area and provides a site that has some amazing game features and stunning woodland. For players in Nottinghamshire looking to play a little further a field there is the Lincoln paintball park and the Derby centre. Both these venues offer fantastic paintball experiences and prove very popular with groups from Nottinghamshire. Catering for all types of occasions from Birthdays, Corporate events to just a day out with friends, Paintballing in Nottinghamshire couldn't be easier. We look forward to seeing you on the battlefiled soon.